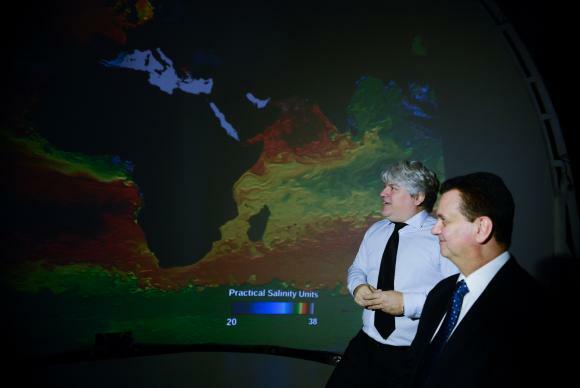 The Instituto Alberto Luiz Coimbra de Pós-Graduação e Pesquisa de Engenharia (Coppe), of the Rio de Janeiro Federal University (UFRJ), unveiled the Lobo Carneiro Supercomputer, the most powerful installed in a federal university in the country. Possessing a first of its kind engineering system, which makes possible to operate remortely with energy efficience, the equipment was presented to the scientific community during a ceremony this Wednesday (13/07), at University City, in presence of the Minister of Science, Technology, Innovation and Communications, Gilberto Kassab. With a 226 teraflops capability, the supercomputer can execute 226 trillion math equations a second. The machine has an exclusive engineering system which takes away the obligation of 24/7 on-site maintenance, as it’s the rule for other high-performance computers in Brazil. The supercomputer was assembled by Coppe researchers, in partnership with technicians from Brazilian startup Versatus HPC and Silicon Graphics International (consortium who won the bid), at the Núcleo Avançado de Computação de Alto Desempenho (Nacad) of Coppe. 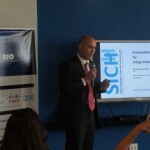 According to Coppe, the supercomputer will be part of the National High Performance Processing System (Sinapad), as a first knot, increasing the network’s capacity by 20% and consolidating Rio de Janeiro as the largest research hub to be a part of it.